There are many ways that an employer can go about rewarding their staff, from gifts and bonuses to parties. And while it may at first seem like the only factors that need to be factored in are whether or not your employees actually deserve to be rewarded and how much money you are willing to spend, as with most things there are tax obligations to consider too. So what are the options and how do they weigh up against each other? if the cost exceeds £150 per head -even by just £1- it means the employee will be taxed on the whole amount, not just the additional £1. If the cost per head exceeds £150, you can come to an arrangement with HMRC using a PAYE settlement agreement (PSA). This allows the employer to pay the tax and NI on behalf of the staff. PSAs are increasingly being used to encourage full employee participation in an event that may involve taxable benefits. You’re allowed to give employees gifts (but not cash) up to the value of £50 per year. Seasonal gifts such as a turkey, an ordinary bottle of wine or a box of chocolates are deemed acceptable and will generally be treated as trivial benefits, and will be ignored by HMRC. A turkey in a hamper, or less-ordinary wines may not be considered trivial and would need to be declared. This is often where the confusion begins: what about a brace of pheasants or a nut roast for vegetarians? Where is the dividing line between fine wine and ordinary wine? Get in touch with our team to talk about employee benefits. The problem is that there is no actual definition of what HMRC means by ‘trivial’ and according its own guidance to staff (EIM21863) tax inspectors are asked to use their own judgement. The HMRC guidance provides other examples of possible seasonal gifts, including the ultimate gift for the employee who has everything: seasonal flu immunisations. But be warned. The flu jab is only treated as trivial if it is the routine seasonal flu jab, and does not apply to jabs against pandemic flu or other diseases. The simplest form of Christmas bonus is to give someone who earns less than £8,500 a year goods that cannot be resold for cash. These are exempt and don’t have to be reported to HMRC. Examples of goods that cannot be resold for cash include anything with your logo on it and very little else. 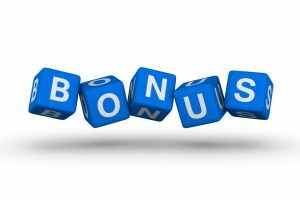 Any cash you give to employees as a Christmas bonus counts as earnings, so you’ll need to add the value to your employee’s other earnings deduct and pay PAYE tax and Class 1 NI through payroll. whether you give them to company directors or employees who earn more than £8,500 a year. We can help you comply with your tax obligations. At first glance it does appear to be on odd figure for a threshold, but the Office of Tax Simplification has provided an explanation. When the benefits code was first introduced in 1948 a threshold, known as the “higher paid” employees threshold, was set at £2,000 of emoluments (including the value of the benefits). At this time the average earnings in the UK were £305 per annum, so the £2,000 level was 6.5 times the national average wage. Since 1948 the threshold has been increased on three occasions to the current level of £8,500 set in 1979. If the £8,500 limit had increased in line with inflation it would have been £39,139 in May 2013. In July 2015, it was announced that from 6 April 2016 the threshold will be abolished and all benefits will be taxable regardless of the employee’s total earnings. With changing thresholds, lack of definition of trivial benefits, the tax treatment of directors, other employees and confusion about what is and isn’t a taxable benefit, it would be a good time to get in touch with us to find out more before the festivities start, rather than after the event. Talk to us today about rewarding your staff.